What are the options for getting my kid treatment for his or her drug use? What are the options for getting my kid treatment for his or her drug use? For most people, “treatment” for substance use conjures images of detox or a residential rehab facility. In reality, detox (detoxification) is not treatment, and a residential program is just one of a variety of options. Treatment for teens and young adults struggling with substance us or addiction can take place in different forms, settings and for different lengths of time — and the type you don’t know about could end up being the best one for your child. Before you make any decisions, take time to understand the options. Approaches to treating addiction are generally similar regardless of substance. However, treatment is typically individualized to some degree based on the characteristics of the patient — treatment programs usually address an individual’s physical, psychological, emotional, and social issues in addition to his or her alcohol or other drug use — as well as the type of substance itself, as in the case of medication-assisted treatment for opioids. Below is an overview of different program types. And if you haven’t already done so, be sure to review our information on Navigating the Treatment System. 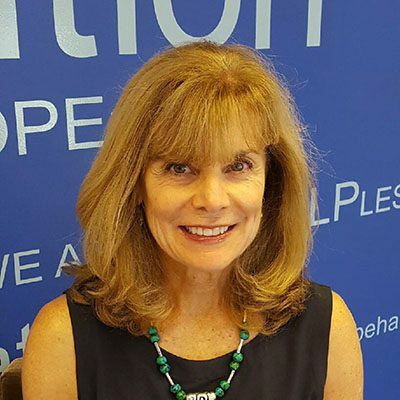 "I've heard from countless young people that the reason they got into recovery was because of a parent who fought for them when they couldn’t figure out how to help themselves." Clients typically attend no more than nine hours of treatment a week (slightly less for teens) at a specialty facility while continuing to live at home. Many programs make services available in the evenings and on weekends so individuals can remain in school or continue to work. Clients attend 10-20 hours of treatment a week (slightly less for teens) at a specialty facility while continuing to live at home. Many programs make services available in the evenings and on weekends so individuals can continue to work or stay in school. A better option for individuals who need multiple services, have accompanying medical or psychological illnesses or have not been successful in outpatient treatment. Clients attends four to eight hours of treatment a day (20 or more a week) while continuing to live at home. Most families use these types of programs when their child needs an intensive and structured experience. Day treatment can be appropriate for individuals with co-occurring mental illness. These programs provide treatment in a residential settings and can last from one month to a year. Typically, residents go through different phases as they progress through the program. During certain phases, contact with your child may be limited. Ask questions about the program’s policies and procedures, and any additional services like education or vocational training. Treatment provided in specialty units of hospitals or medical clinics offering both detox and rehabilitation services. Typically used for people with serious medical conditions or mental disorders. For individuals with a physical dependency on certain drugs, primarily heroin and other opioids, medication is provided in a specialized outpatient setting in combination with counseling and other treatment services. 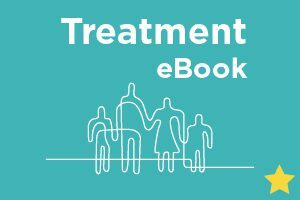 For a comprehensive guide to the navigating the treatment system, including more information on the types of treatment and services available, download our complete Treatment eBook. Most treatment programs offer a combination of the services listed below. It’s important for individuals struggling with substance use to receive a comprehensive range of services. If a service is not offered at your child’s program, the staff there should be able to help your family find it elsewhere. One-on-one counseling to explore personal problems that an individual may not be comfortable discussing in a group setting. Usually consists of six to ten people with one or two counselors facilitating a discussion of their struggles, experiences and problems. Substance use and mental health treatment services provided in-home. Examples include Adolescent Portable Therapy (APT) and Multidimensional Family Therapy (MDFT). Grade-appropriate classes (or GED classes) for teens still in school, or those who may have dropped out, to help reduce disruptions to their schooling. Services to help determine an individual’s vocational aptitudes and interests, along with job skills, resume development and other work readiness skills. Focuses on behavioral tools designed to help a teen or young adult cope with the stresses and challenges of daily life and develop greater self-esteem in order to better manage their recovery. Individuals diagnosed with co-occurring mental illness need treatment for their substance use in addition to the mental illness, ideally in an integrated fashion. Treating the substance use alone will not help resolve underlying mental illness, and treating a depressive disorder alone will not resolve the substance use or dependence. In most cases, family involvement is an important element in treating teens and young adults. It helps family members understand addiction as a chronic illness, helps the family have realistic expectations and goals for treatment, and helps improve communication and overall family functioning. Sometimes labeled After Care or Follow-up Care, this includes treatment prescribed after completion of a formal structured program in any type of setting. It is a necessary support plan for ensuring that the tools learned in treatment can be applied successfully in the real world. These are transitional residences for adults 18 years and older in recovery. Homes usually have a small number residents, a small professional staff, clear and enforced rules about abstinence and a significant level of structure. Potential residents should be able to make a three- to six-month commitment to living in a group situation where a major focus is remaining sober. For teens and young adults entering or already in college, you can ask the university if there are any dorms set aside for students in recovery from alcohol or other drug addiction. If not, you can ask about the procedure for establishing a sober dorm on campus; as requests increase, more universities are likely to create them for young people in recovery. High schools that combine a state-approved curriculum (make sure the school meets requirements for granting diplomas) with recovery supports and services. For a list of recovery high schools as well as universities with sober dorms, visit www.recoveryschools.org. In 12-Step groups like Alcoholics Anonymous (AA) and Narcotics Anonymous (NA), as well as in non-12-Step groups like Self-Management and Recovery Training (SMART), people come together to share their experiences with addiction, provide support to one another and help each other stay on the path of recovery. These groups have different styles, formats, and focuses, so it’s important to find a group your child is comfortable with that works best for him or her. Figuring out the type of care needed, getting your loved one into a program and getting it covered by insurance aren't easy. Get the full picture. Finding a treatment provider for your child struggling with substance use can be overwhelming. We're here to help you through it. There is no one-size-fits-all answer to drug treatment, but there are steps you can take to get your son or daughter help. Here's what you need to know.